An Audi scan tool is an electronic tool used to establish an interface between diagnosing and re-programming your vehicles’ control modules. In this review, we are going to cover the 7 best Audi scan tools that you can equip yourself within 2019. The best Audi scan tool should be able to give you great compatibility and functionality at an affordable price. Below displays the Editor’s Best 3 Picks of Audi Scan Tools Comparison Chart for your easy purchase. Supports CAN and all OBD2 protocols. Not return codes on some Audi models. 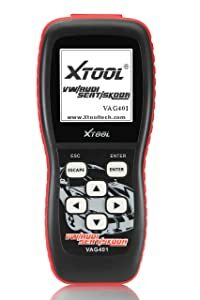 Bottom Line Xtool Vag401 is a perfect pick for car owners of Volkswagen, Audi, Seat and Skoda. UTOPHIX V007 is built for VAG's owners who want to diagnose all systems. This Audi scan tool is built mainly for DIY lovers and Audi owners. Great so far, repaired wires under drivers seat then reset code. Check engine light came on a few weeks later. Was able to read codes, make repairs, reset code. Easy to use. This Audi scan tool offers you the best diagnosis solution for Skoda, Audi, and VW and Seat vehicles. This device supports all OBD2 protocol vehicles and CANBUS among others. It offers a quick display of many vehicle errors on the dashboard. It’s an Audi scan tool which can help you clear troubling issues and helps in clearing DTC. Helps you view live data and offers actuation tests. Reads and clears diagnostic trouble codes. This is a scanner which is easy to use. It supports all EOBD and OBD2 protocol vehicles. It’s a standalone device which does not need to have a PC in order to function. Portable, since it’s a handheld device. Some users find that the internal processor takes long to load. This Audi scan tool is ideal for small garage owners and vehicle enthusiasts. This Audi scan tool is among the cost-effective scanners perfect for DIY lovers, garage, and car owners. Apart from offering you basic functions like reading and clearing codes, it is also capable of providing you with advanced functions. This scanner also lets you access the most commonly needed services like oil service light reset, DPF re-generation among others. Shows live sensor data in graph and text format. Capable of actuating components, running system tests, and programming control modules. A hand-held Audi scan tool which offers comprehensive coverage for a single car manufacturer. Offers compatibility with a wide variety of car models. Provides a wide compatibility with almost all car models, making this Audi scan tool ideal for individuals with more than one car. An easy to use interface – It is simple enough even for novices. It’s a standalone device- You do not need an additional computer to operate this device. Compact size – This is a hand-held device which makes it portable. A few users might find this device a bit expensive. This is an Audi scan tool ideal for novice auto mechanics, small garage owners, professional mechanics and DIY lovers. The Memoscan diagnostic tool is an Audi scan tool which is compatible with all OBD2 compliant US, Asian and European vehicles. It also supports multiple error codes, generic and specific manufacturer specific codes. Also supports CAN and other current OBD2 protocols. This is a standalone unit which does not need an additional computer to function. It also has an easy to read back-lit LCD display. Clears and reads error codes. Easy to read back-lit LCD – The display of this Audi scan tool is crystal clear, which makes it easy to read since it’s also backlit. Capable of reading and erasing engine DTCs, Airbag, ABS and automatic transmissions. Performs continuous DTC scans and turns off engine check light. It’s a stand-alone unit which does not need an additional computer in order to function. Does not require a battery to power it since it comes with a detached OBD2 cable to power it. Compatible with all vehicles built after 1996 and OBD2 compliant Asian, European and US vehicles. Capable of retrieving VIN on 2002 and newer car models which support mode 9. Does not require a battery since it is powered by OBD2 cable. You do not need an additional computer to operate this stand-alone Audi scan tool. Comes with a crystal clear, backlit LCD display which is easy to read and use. Offers a wide range of compatibility with Asian, European and US car models. Reads and clears error codes. Supports CAN and other current OBD 2 protocols. This Audi scan tool is built mainly for DIY lovers and car owners. Automotive OBD2 Scanner for professionals, enthusiasts & amateurs. This scan tool can works on tens of makes by installing the appropriate software. It is one of the most cost-effective scanners for everyone who owns a car. 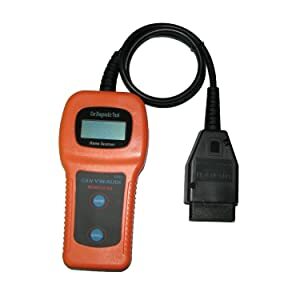 It offers an OE diagnosis level on all electronic systems. Offers basic functions like throttle body adjustments, oil service light reset among others. This Audi scan tool is also capable of other advanced functions like adaptation and actuation. Can be upgraded to cover other car models. Multi-language interface and codes ideal for an international market. Ergonomic design for using on road tests and garages. Offers graph merges for easy and intuitive diagnosis. Has a TF memory card for software update and data backup. Reads and clears diagnostic error codes. Multi-language interface, making it ideal for the international marketplace. Rugged build and ergonomic design for road tests and for shop use. Upgradable to cover other car models. Helps in retrieving ECU information. This Audi scan tool does not work on Benz vehicle models. This Audi scan tool is ideal for garage owners, enthusiasts, car owners, novice and professional mechanics. 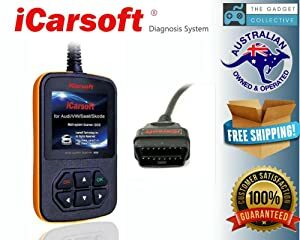 The iCarsoft i908 Audi scan tool is highly recommended since it has the highest Amazon rating among all other scanners. It also offers you free advice from UK based engineers. This is a professional Audi scan tool developed especially for the full system of one car brand. It has a colorful TFT screen with unique diagnostic software. It provides you with a full system diagnosis which is also a powerful DIY device. It offers full system diagnosis. An Audi scan tool with the fastest full-color LCD display. It has a multi-language interface. Helps you read live data stream. An Audi scan tool which is easy to use. It has a standalone platform, hence it doesn’t need a laptop or battery to operate. Offers you free expert advice from engineers in the UK. Multi-lingual interface and DTC definitions. A colorful 2.8” screen LCD display. 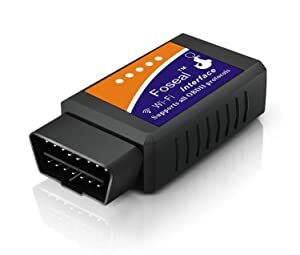 Foseal OBD2 WIFI Scanner is not just a scanning device, but it comes with amazing specifications that every motorist cannot afford to miss. This is an Audi scan tool which works over Wi-Fi. This makes it possible to use Android or iOS devices to read and diagnose and also clear OBD2 error codes. 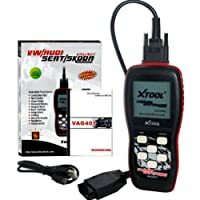 This scanner is compatible with almost all OBD2 protocols. 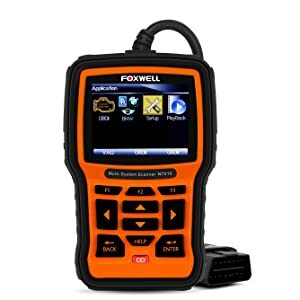 This scanner will work on all vehicles which are OBD2 compliant using a valid 16 DLC data link connector, a Wi-Fi connection, and an Android or iOS device. The Foseal scanner reads and clears error codes. Upgraded components of this scanner can offer high stability and reset engine check light. Compatible with all OBD 2 protocol vehicles. Capable of tracking the effect of engine adjustment in real time. You can even use this Audi scan tool while driving. This is a device which can scan and read specific fault codes including the most common fault codes. Apart from showing error codes, the device also shows the meaning of those error codes on your Android or iOS device using a database definition code. 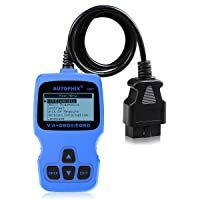 Offers current sensor data display for full system diagnosis. This Audi scan tool is quite affordable. Offers fast data transfers to your phone using Wi-Fi. Compatible with all OBD2 protocol based vehicles. The device reads and clears codes. Can support third-party apps on your Android or iOS device which are also easy to install. Lacks a battery saver mode. Professional automotive mechanics and DIY lovers with more than one car find this Audi scan tool helpful when it comes to vehicle diagnosis. This is a customized OBD2 scanner which helps you gain full control of the electronics in your vehicle. 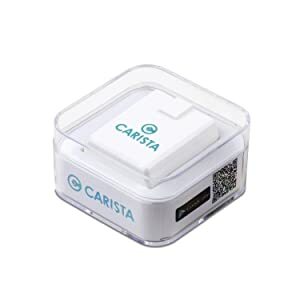 Using the Carista app and Caritas OBD2 adaptor you can configure your vehicle’s settings. By using this scanner, you can save money by doing brand-specific vehicle diagnosis by yourself. You can also check and reset OBD2 fault codes in all ECU in your vehicle. You can also self-service your vehicle using this Audi scan tool since it provides you with e-tools which you can use to service your vehicle. Free basic features – This Audi scan tool comes with free basic features for OBD2 code reading and settings for almost all cars built after 1996. The adapter uses Bluetooth – It uses Bluetooth on both iOS and Android devices. This is guaranteed to work on Caritas OBD2 app. Uses adapter and app level technology – It diagnoses, services and customizes your vehicle using a dealer level technology. Compatibility – Caritas OBD2 is compatible with Caritas OBD2 app on both Android and iOS device. 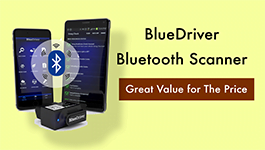 It’s also compatible with all ELM 327 apps on windows/Android and Mac that use Bluetooth connectivity. Advanced paid features – A free one month trial for adapter purchase which enables you to customize vehicle settings and do specific manufacturer diagnostics. Gives you full OBD2 support. Comes with repair guides free of charge. A companion app for both iOS and Android devices. Some users find this Audi scan tool a bit costly. This Audi scan tool is ideal for DIY enthusiasts and almost everyone who owns a car because it can be used at home. If you are a car owner, a novice mechanic, a garage owner or a professional auto mechanic, you will definitely need an Audi scan tool. It is important that you do in-depth research before buying a scanner. The device you settle for should be able to offer you the best compatibility and functionality, and also be cost-effective and have an easy to use interface.